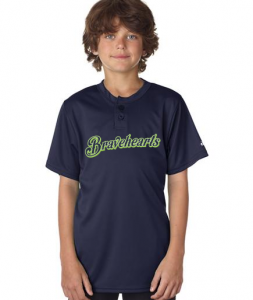 Licensed use of Bravehearts’ name and logos for uniforms. Free Kids Club membership for all players in league, which gives free admission for all kids to every Sunday home game. Players should wear uniform to park for admission and will be asked to register to receive all Club benefits. Not valid on group outings. Jake the Lion appearance at Little League Parade or Junior Bravehearts’ game. “Field of Dreams” experience with any purchase of group tickets to a Bravehearts’ game. Take the field before the game! “Bravehearts’ Buddies” experience with purchase of catered picnic outing at a Bravehearts’ game. Play catch with Bravehearts’ players on the field before or after a game, depending on field conditions. 10% discount on Worcester Bravehearts’ summer camps for everyone in your league if your league books a group outing at a game. Call the Bravehearts office at 508-438-3773 or email Nate Gonelli at nathan@worcesterbravehearts.com to learn more and sign up your team today.